The firm, which provides mobile app-based current accounts as an alternative to physical banks, has been referred by some as a “tech super star”. Revolut’s services are currently only available in Europe, but the firm has plans to expand into North America, Australia, Singapore and Hong Kong soon. Revolut was founded by Nikolay Storonsky and Vlad Yatsenko. Mr Yatsenko is Russian, while Mr Storonsky is Russian-born, but carries a British passport and has lived in the UK since the age of 20. Prior to setting up Revolut, Mr Storonsky worked for Credit Suisse and Lehman Brothers, while Mr Yatsenko spent 10 years building financial systems for major investment banks. Mr Yatsenko serves as Revolut’s chief technology officer, while Mr Storonsky is chief executive of the firm. In November, Revolut announced that it had over three million customers – one million customers are located in the UK alone. The three-year-old firm’s growth has been impressive – its customers numbers trebled to 1.2 million in 2017, while revenues increased five fold to £12.8m. In February, Revolut launched an advertising campaign featuring an ad that highlighted the number of people who ordered a takeaway meal for one on Valentine’s Day in 2018. The ad, which asked, “You ok, hun?”, sparked a backlash on Twitter. Revolut was accused of “shaming” single people and being both “intrusive” and “tone-deaf”. It then turned out that the ad – which said 12,750 people ordered a single takeaway meal on Valentine’s Day – was using fictitious figures. Several people complained to the Advertising Standards Authority (ASA) about the advert, but since it was outside the ASA’s scope, it referred the matter to the FCA. The company’s lawyers drafted a letter to the FCA about the change, but it was never sent. Why did Revolut’s chief financial officer resign? 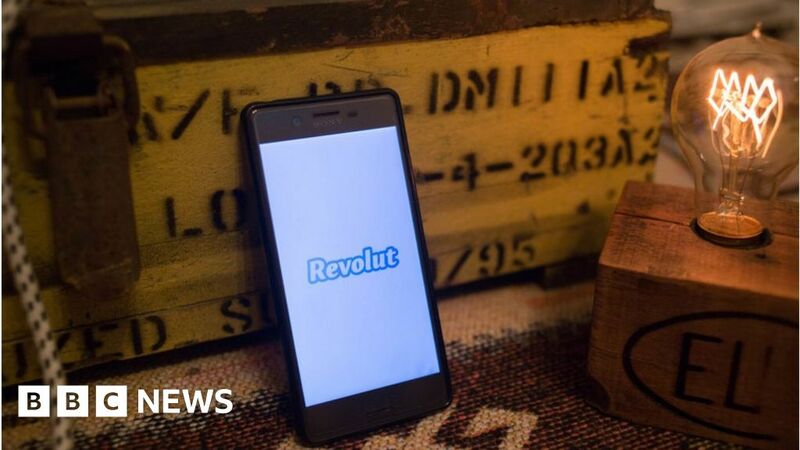 On 28 February, it was reported that Revolut’s chief financial officer Peter O’Higgins was stepping down after spending three years with the company. Mr Storonsky wrote in a blog post on 1 March that Mr O’Higgins had decided to step down because he felt that the business would “require someone with global retail banking experience” as Revolut applied to become a licensed bank in multiple jurisdictions. Media reports at the time suggested that the timing of Mr O’Higgins’ resignation was to do with the allegations made against it, but the company stoutly denies it. “Any suggestion that Peter’s resignation is in any way, shape or form connected to this roll-out is utterly false and damaging,” wrote Mr Storonsky in his blog. The whistleblower told the BBC that Revolut’s systems for flagging suspect payments were “utterly inadequate”.